Over the past few years, crowdfunding has transitioned from a relatively small fundraising strategy to a billion-dollar industry that’s being leveraged by individuals and corporations alike. It’s been a quick and natural rise to prominence for this funding mechanism that was once thought to be very limited in its scope. Are there any limits to the growth? According to the Massolution 2015 crowdfunding report, the global crowdfunding industry grew by 167 percent in 2014 to reach $16.1 billion. In 2015, the industry again doubled, expanding to $34.4 billion. By the end of this year, crowdfunding is expected to surpass venture capitalist funding in volume. “If we look at what is driving this growth and change … we see that the collaborative economy has brought new disruptive models to giant existing industries like real estate and transportation, leveraging automation and the internet to create massively scalable businesses,” says startup expert Chance Barnett. But the growth of crowdfunding moves beyond big business. The reason it’s so successful is that the growth is spread across several different types of funding models. These include donation, rewards, equity, and debt and lending. With so many different ways to get involved, it’s no surprise that we’re seeing a wide variety of businesses and individuals participating. It’s difficult to tie the success and growth of crowdfunding to any single catalyst or culprit. However, it’s clear that the following items play a role in the success of crowdfunding. One of the biggest areas of the crowdfunding industry is charity crowdfunding. Charity crowdfunding allows both individuals and 501(c) organizations to raise money online for causes, projects, and needs. For example, charity crowdfunding campaigns on the popular Plumfund platform regularly raise funds for things like program costs, supplies, grant fees, marketing, bills, and more. The reason crowdfunding and charitable giving align so well is that both are highly personal. When people give to causes, they want high touch experiences. Crowdfunding enables this engagement through regular updates and direct interaction with the individuals behind the charities or causes. It’s no surprise that the most successful crowdfunding campaigns are those which have been launched or marketed on social media. Social media is the fuel to crowdfunding and allows campaigns to attract large numbers of small donors. Whereas a $5 donation may not have any impact on a traditional investment or fundraising initiative, social media allows these campaigns to attract hundreds and thousands of small-dollar donations that eventually add up to much larger amounts. There’s power in numbers and nothing grows enthusiasm quite like a bunch of individuals coming together around a common cause, issue, or investment. 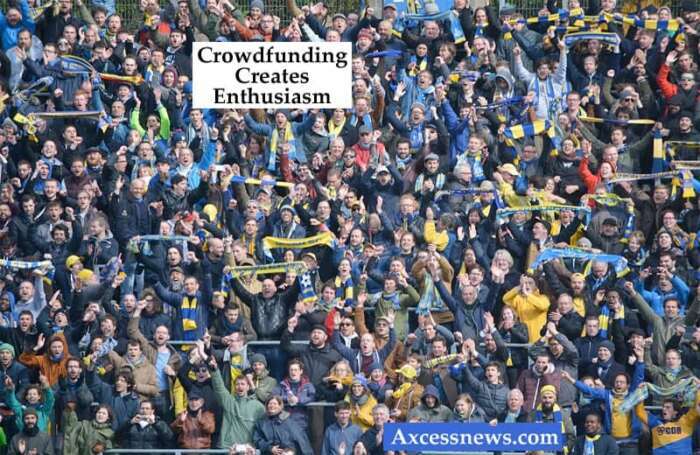 Crowdfunding works because it creates unity and enthusiasm. When people can see how much money has been contributed thus far, what the money is going towards, and how much more is needed, they are much more likely to open up their wallets and give. It’s a natural result of being drawn to something that’s bigger than the individual. New Possibilities with Tremendous Growth in Crowdfunding. While personal and charity crowdfunding lead the way right now, look for equity crowdfunding to steal the limelight in the latter half of 2016. Specifically, tech companies are expected to begin utilizing crowdfunding more and more this year. Other industries projected to experiment with crowdfunding include sports, energy, transportation, and biotech. The beauty of crowdfunding is that it’s flexible. We’ve seen tremendous growth already and more progress is right around the corner. If past achievements are any indication of future successes, then we have a lot more to look forward to.